Located near the Massachusetts-Vermont border, Mount Snow is one of the best known ski areas in New England. The large ski area features a variety of terrain on multiple mountain faces. Director of Resort Services Erik Barnes has been promoted to General Manager. The long awaited EB-5 projects are taking shape. $52 million is being spent on snowmaking and new base facilities. $52 million can now be spent on snowmaking and base area projects at Mount Snow. 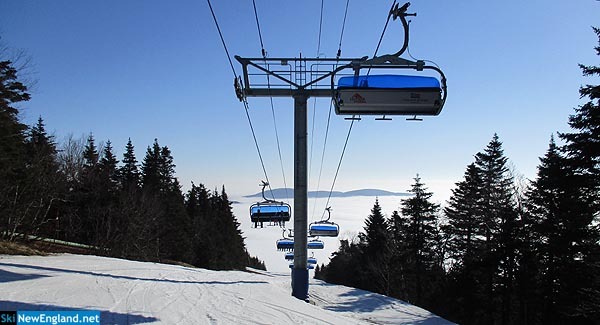 The Carinthia novice chairlift will be replaced with a conveyor lift. Peak Resorts has been waiting for two years for the release of tens of millions of dollars in capital. Christie ran Sugarloaf, Mt. Snow, and Saddleback and was an award winning ski writer.